Makers of Khatron Ke Khiladi have announced a fresh season of the reality show at a press event. 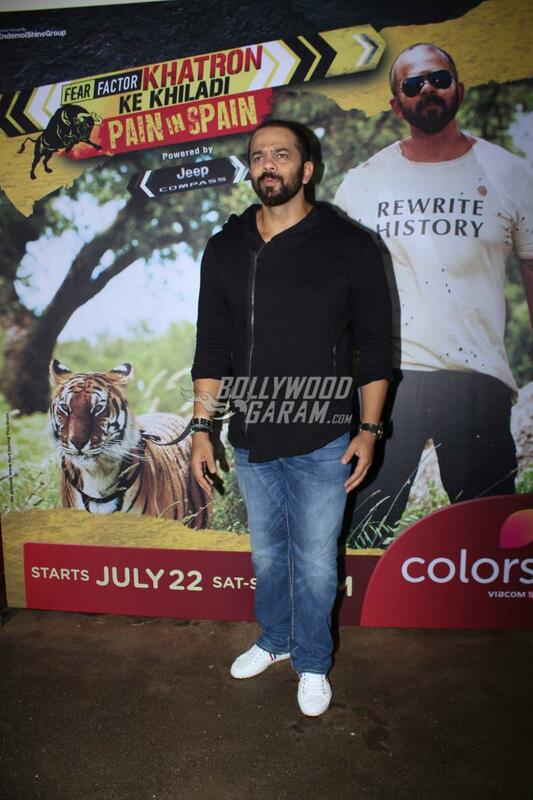 The show will be aired on Colors and will be hosted by the filmmaker Rohit Shetty. The new season of the show has some new contestants who have given their best as she shot in Spain. Nayak also informed that for the first time they are having Jeep Compass as their sponsors. The new season stars Geeta Phogat, Nia Sharma, Manveer Gujar of Bigg Boss fame, Hina Khan, Monica Dogra, Ravi Dubey, Shibani Dandekar, Lopa Mudra Raut, Shiny Doshi, Shantanu Maheshwari and others. Host Rohit Shetty during the earlier launch event said, “I’m hoping we create another blockbuster experience for all. I’m looking forward to know them and test their fear quotient.” The launch event also saw a performance by Manveer and Hina. The show Khatron Ke Khiladi is an Indian adaptation of the American show Fear Factor and will be aired every Saturday and Sunday at 9 PM on Colors channel. Next articleQaidi Band trailer - YRF's new stars, Aadar Jain and Anya Singh sing for freedom!